Choose one of our inspiring ceremony locations to say your ‘I do’s’. Let majestic elephants and curious plains game join your guest list, and embark on a bushveld photo shoot with our resident elephants under a dramatic African sky. 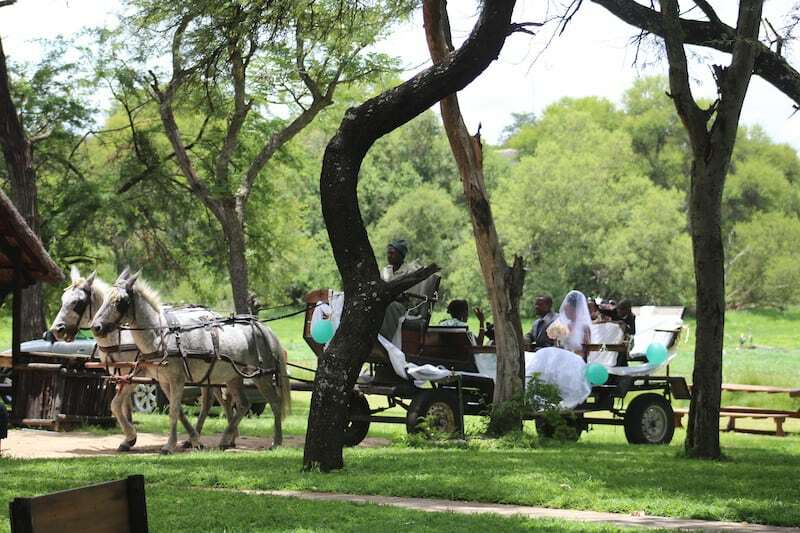 Whether intimate or for a large group, Antelope Park can tailor make your wedding ceremony and reception; combining elegance, intimacy and the wild for a truly unforgettable day. Accommodation: For up to 100 guests. Wedding Co-coordinator: Antelope Park is dedicated to the provision of the highest standards of quality and service and as such Wendy Conolly, co-founder of Antelope Park, will be on hand to provide that personal touch as she will be responsible for the coordination of your wedding. Wendy will ensure that your day is not only spectacular but runs smoothly behind the scenes, leaving you to enjoy the occasion. Flowers, crockery & cutlery, table linen and furniture: All these will be provided by Antelope Park and are included in the Wedding fee. However, guests are asked to discuss their flower requirements and table linen colours with Wendy Conolly to ascertain what will be available at the time of the wedding. Catering & beverages: The wedding celebrations will be catered for by Antelope Park and the menu agreed with Wendy Conolly. Antelope Park will operate a cash bar. Electricity: Antelope Park has backup generators which are fully able to run the kitchen lighting and music for your function in the event of a power failure to the area. Wedding fee Inclusions: Our all-inclusive wedding fee of up to 100 people. Please enquire for fee charges. 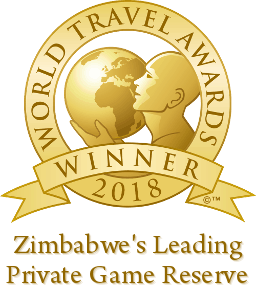 This includes the hiring of the whole camp, the services of our wedding coordinator, accommodation, activities depending upon availability, meals, the wedding meal and snacks, sundowners, flower arranging and the option of a marquee. 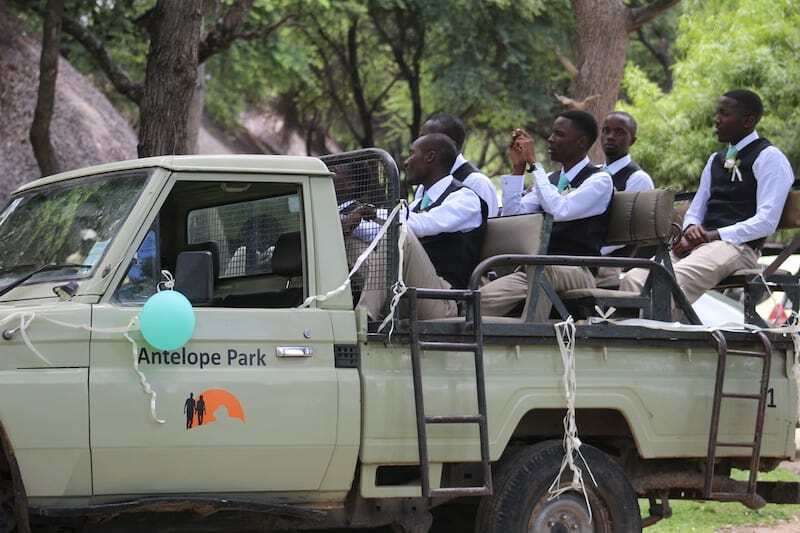 Exclusions: Personalised décor, cake, music, minister, photographer and videographer: Individual preferences in these aspects of a wedding are very personal to the wedding party and as such Antelope Park asks that the wedding party provide these for the wedding. Wendy Conolly will be available to make suggestions and some décor may be available at Antelope Park. It is important to mention that from time to time overland safari trucks arrive at Antelope Park. We will always welcome these guests. They will, however, be camping on a site adjacent to the main camp- leaving the rest of the venue exclusively for your special day. Please note that a 50% deposit is required to secure your exclusive booking. The balance is payable one month before the wedding day. Unfortunately, we do not book weddings over public holidays. Our price and package are non-negotiable.